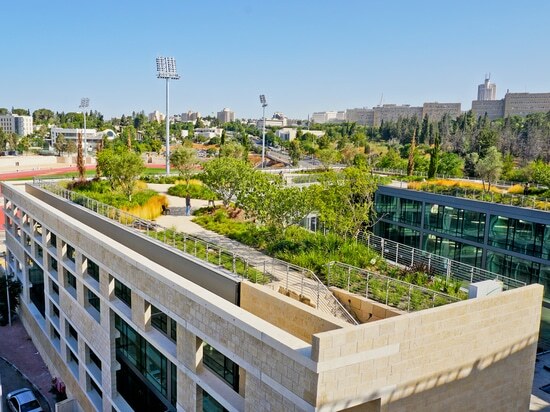 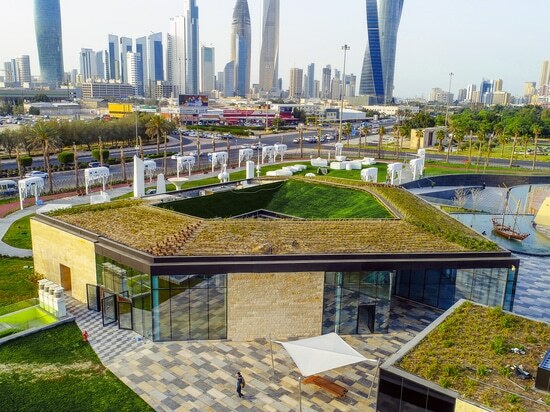 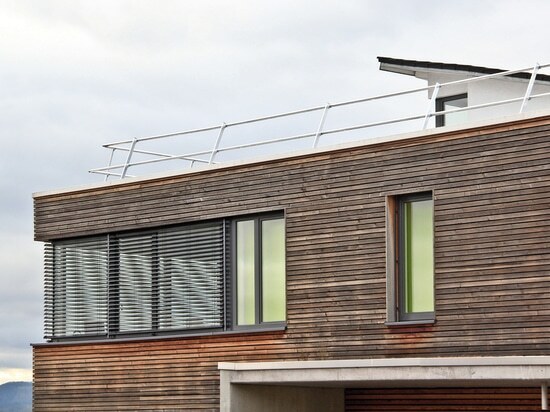 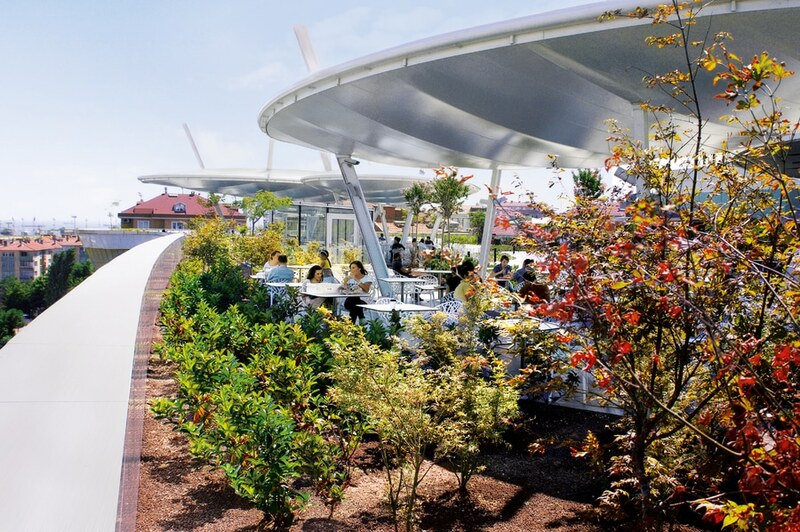 The green roof offers a natural atmosphere for the city residents, which is hard to find in the neighbourhood. 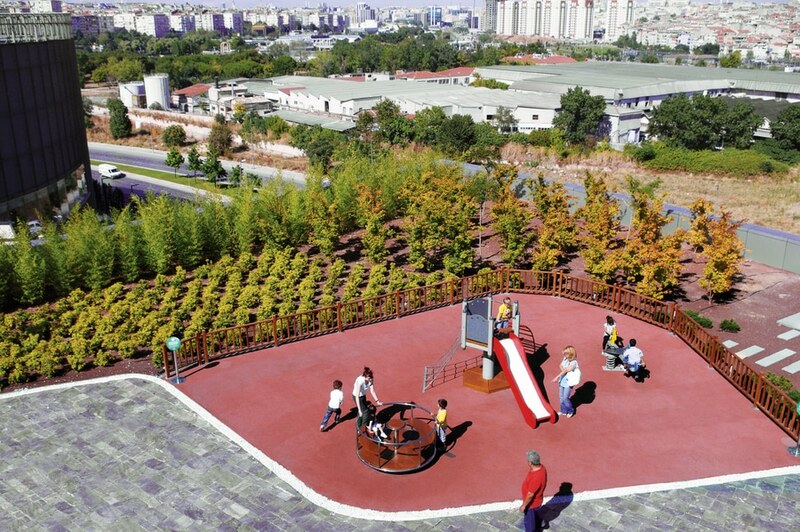 View from one of the roofs to the playground. 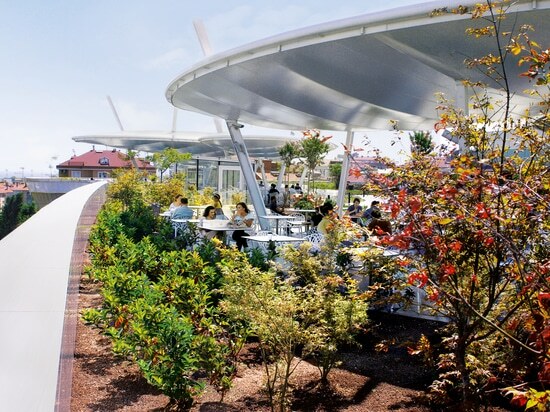 A mixed use with pedestrian ways, outdoor seating, playgrounds and ponds. 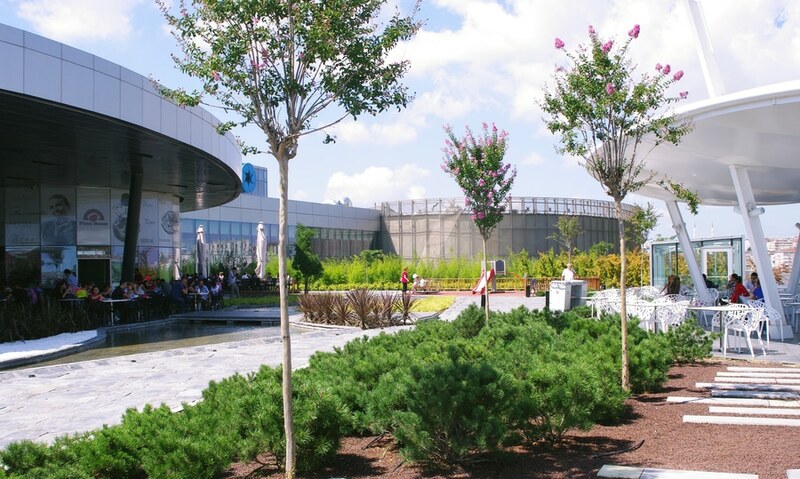 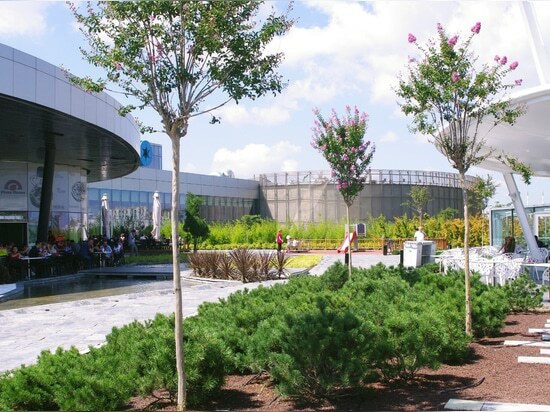 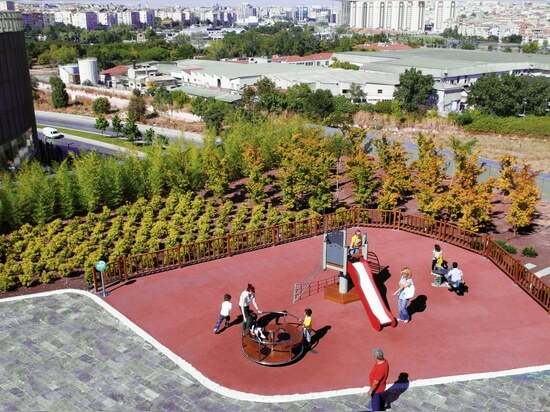 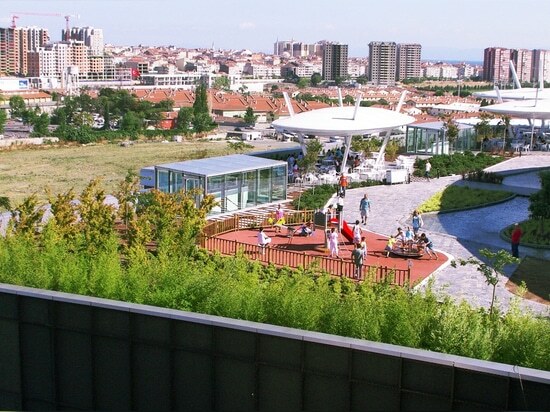 The green roof of the Marmara Forum Shopping Mall & Offices with the different species. 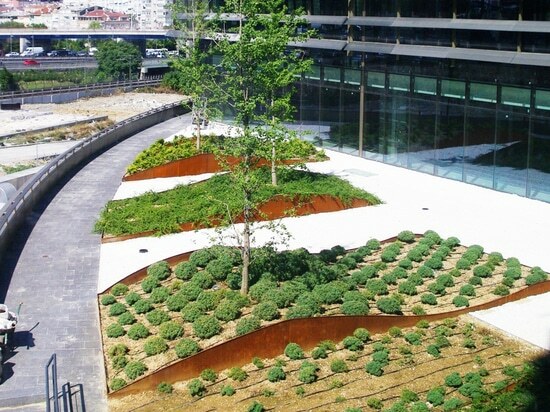 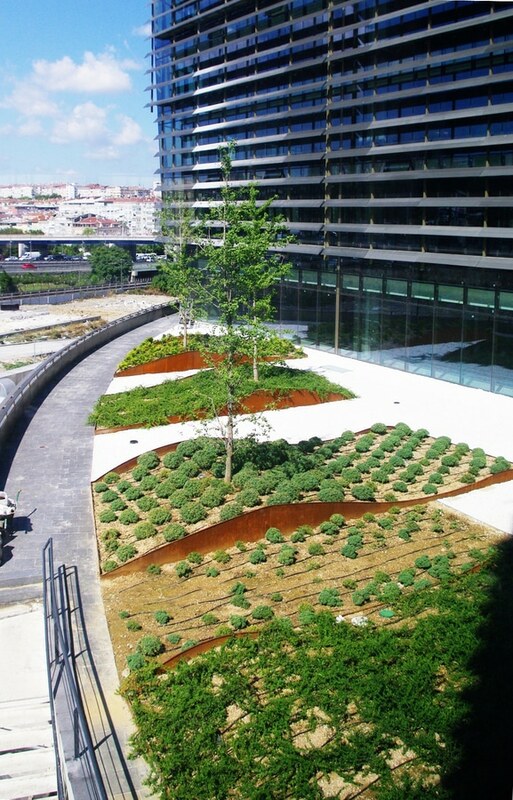 Courtyards of the offices built with the green roof concept.